Israeli Prison Services (IPS) has issued more than 309 administrative detention orders since the decision to boycott administrative trials by administrative detainees, last February, the Palestine Detainees Center for Studies reported Saturday. According to Al Ray Palestinian Media Agency, spokesperson for the center Reyad Al-Ashqar said in a press release, Saturday, that the occupation powers violate all the norms and limitations established by international treaties to limit the use of administrative detention policy and uses it as a collective punishment against the Palestinians. He noted that IPS has issued more than 4.000 administrative detention orders during the last three years, 456 of which were issued since the beginning of 2018, against ex-detainees who are again taken into custody. 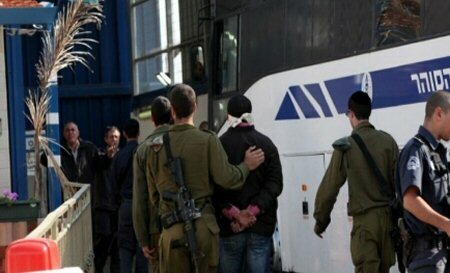 Al-Ashqar considers the issuing of administrative detention orders against detainees (i.e. without appearing for trial and without access to legal representation) is clear evidence of formalism, stressing that the trial has already fabricated, and Israeli intelligence stands behind the trials. Palestinian administrative detainees boycotted the administrative trials to shed light on the case, forcing the Palestinian Authority and international institutions to shoulder their responsibility toward their ongoing plight. Al-Ashqar pointed out that administrative detainees have escalated their protests by entering into a state of hunger strike, on numerous occasions.